On paper, Zambia recorded an economic growth of three percent in the first quarter of 2017 with the agriculture, forestry and fishingsectors contributing the highest percentage of 1.7. This is according to the government controlled and owned Central Statistical Office. The truth is that this growth is in the pot bellies and bank accounts of politicians and their relatives. Most Zambians recorded more than 30% starvation, joblessness and hopelessness in the first 4 months of 2017. Manufacturing and energy sectors were second with each contributing 0.3 percent to the country’s economic growth, according to the monthly bulletin released by the Central Statistical Office (CSO) at the on-going 53rd Zambia International Trade Fair (ZITF) . 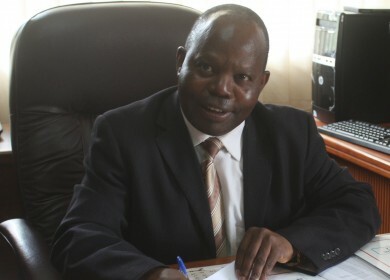 And CSO director of census and statistics John Kalumbi said the energy sector recorded the highest growth rate at 25.6 percent followed by the agriculture, forestry and fishing industry sectors at 17.5 percent while the human health and social work was at 11 percent. Mr Kalumbi said the mining sector recorded a decline in the growth rate at -5.2 percent with a -0.6 percent contribution to the overall three percent national economic growth recorded in the first quarter of this year. “As we can see from the statistics that we have, the energy sector in the first quarter of 2017 had a percentage growth rate of 25.5 percent but in terms of its contribution to the economic growth, it’s less than what the agriculture, forestry and fishing industry contributed,” he said. Mr Kalumbi also said the country recorded an increase in the inflation rate in the month of June at 6.8 percent compared to 6.5 percent recorded in May this year. He attributed the increase in the annual inflation rate to the upward adjustment of electricity tariffs. Mr Kalumbi said the hike in electricity tariffs resulted in the increase in the inflation rate of non-food items such as housing and water.